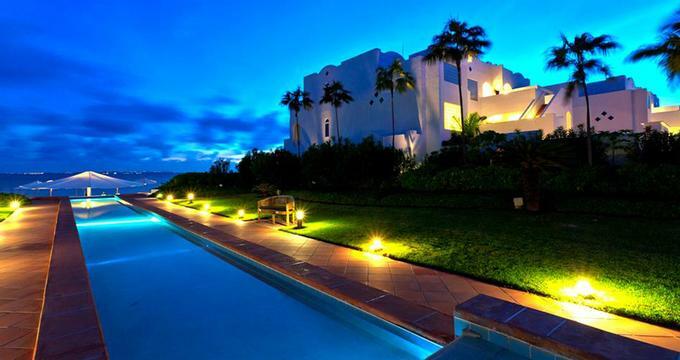 CuisinArt Golf Resort & Spa is a dream island resort located on the Caribbean island of Anguilla. The resort has an 8,000 square foot spa, a great beach, swimming pool and its own hydroponic farm. There is plenty to do for the whole family, including windsurfing, sailing, snorkeling, deep-sea fishing, tennis, bocce and croquet. Each of the 93 guest rooms has extraordinary sea views, air-conditioning, and range in size from 900 to over 7,500 square feet. Junior and Luxury Suites are located in the beachfront villas as well as the one- and two-bedroom suites which come with a private terrace and outdoor shower, perfect for a dream island vacation getaway. The hotel has its own hydroponic farm on the property. This is one resort where your vegetables will not arrive at the restaurant after a long plane ride. Vegetables grown at the resort include tomatoes, lettuce, cucumbers, peppers, arugola, string beans and more. The resort grows an assortment of fresh herbs as well, making the dishes prepared at the restaurant extra flavorful. The resort's fresh produce is featured at its two main eateries, the Cafe Mediterraneo and the Santorini Restaurant. Guests can even take cooking classes from the Executive Chef at the kitchen stadium. Anguilla is a 50-minute flight from San Juan or a 5-minute flight from St. Martin. There is also a ferry service from St. Martin which takes approximately 25 minutes. The resort is a 15 minute ride from the airport. The hoteloffers its guests a number of vacation packages for the winter, spring and summer seasons, including family deals. Packages can include (depending on the package) an airport greeting, continental breakfast daily, various spa treatments and dinners. Daily rates start at $400 in the summer/fall and at $685 in the winter.